The Quadrangle at the University of Pennsylvania. Hey high school juniors, you might want to browse this list before you make a college application list. A report was released that ranked the hardest schools to get into in 2018, and two Philly-area schools made the top 20. 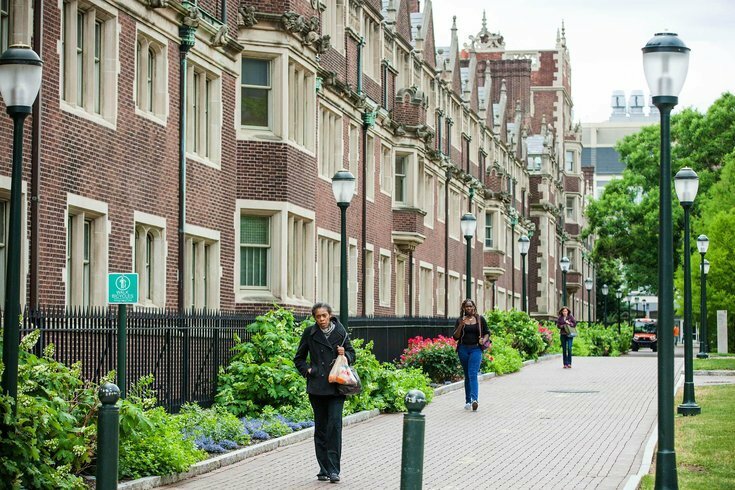 The University of Pennsylvania and Swarthmore College ranked No. 11 and No. 19, respectively, according to a report done by Niche, a company that analyzes public data on schools and neighborhoods. The top five hardest are Harvard, Stanford, Yale, Massachusetts Institute of Technology and California Institute of Technology. Niche ranked schools based on acceptance rates and SAT/ACT scores, using data from the U.S. Department of Education. Penn comes in at No. 11 on the list with a nine percent acceptance rate. Niche also notably ranks it as the No. 1 best college in America for business, accounting and finance, and nursing. Overall, it's No. 7 in best colleges in America. Swarthmore's profile lists an acceptance rate of 13 percent and interestingly notes that Swarthmore is one of the most diverse colleges in the U.S.